HomeFront runs on volunteerism. And one of our more rewarding challenges is to channel the compassion, energy and spirit of people who want to make a meaningful donation of time and talent. Whether you have a creative mind, good people skills, teaching talent, special know-how, a strong back or a gift for organization, HomeFront needs you. Our menu of volunteer opportunities will give you some idea of the kind of help we need. But our needs are on-going and ever-changing. Please contact our Volunteer Coordinator at (609) 989-9417 ext. 137 or email getinvolved@homefrontnj.org for more information. Individuals (16 and older) – These opportunities are geared toward mature individuals who are looking to commit to volunteer or get involved on a regular basis. Groups/Organizations – Check out these opportunities for Corporate Days of Caring, congregation outreach, clubs and school groups looking to get involved. Kids (15 and under) – Check out great ways that kids can help our families and have fun while doing it! Drive Guide – For those interested in organizing a drive for food or life necessities, this guide will lead you through the steps as well as provide a list of needed items. Rent Party Guide – Host a rent party and help homeless families secure housing by collecting the funds they need to move in to their new homes. In addition to scheduled volunteer activities and donation drives, we have frequent needs for specific skills to support a service we offer our families or a special event. If you have a skill listed below and can offer your time, we’d love to hear from you. 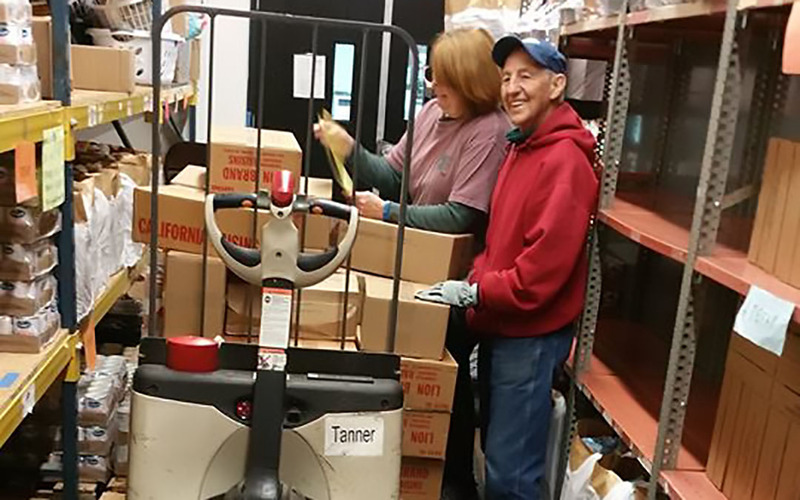 We are so fortunate—and so grateful—to have our dedicated, volunteer food pantry team! These wonderful people are the reasons we are able to distribute over 1,000 free bags of food to the community every month. 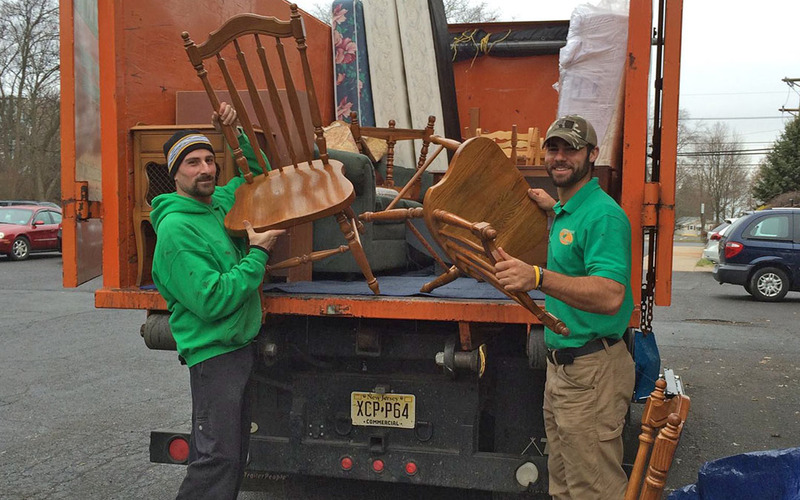 A big “Thank You” to Jim Gabriel and his amazing crew at College Hunks Hauling Junk and Moving, for coming to the rescue during the holidays! They volunteered and helped deliver furniture to HomeFront families, so our truck could pick up Christmas gifts for those 3,000 kids whose Christmas Wishes were fulfilled this year. 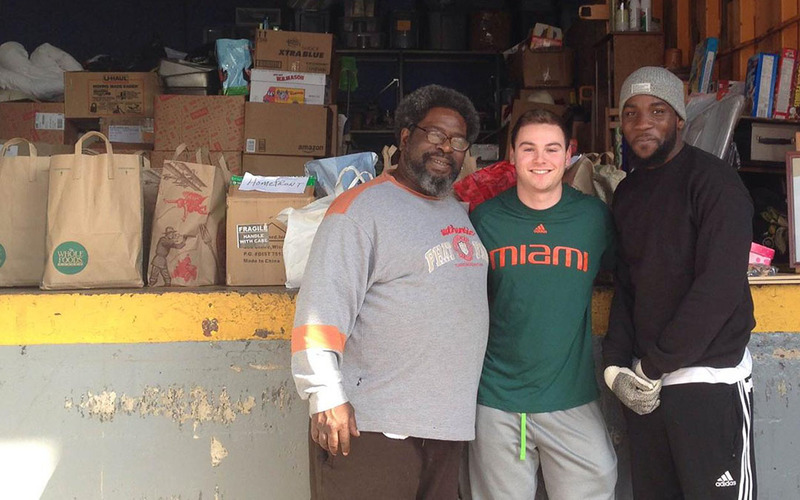 High school senior, Jack Paley, started “FrontDoor for HomeFront” as an easy way for his neighbors to donate toiletries and food to our families. On the third Saturday of every month, his neighbors leave donations on their front steps, which Jack picks up and delivers to us. Thank you Jack!